Your project is unique. And we get that. We find art solutions for everyone, whether you need interior or exterior artwork, or artwork services. Personalized artwork custom-made to feature your company or association's image. We seek artists who are open to feedback and listening to what a client desires. Custom artwork ranges from portraiture to collages, and thematic 2-D and 3-D pieces. We have a larger variety of framing solutions we propose for projects. Our capabilities also include stretching canvases, box or plexiglas mounts, and other creative framing solutions. 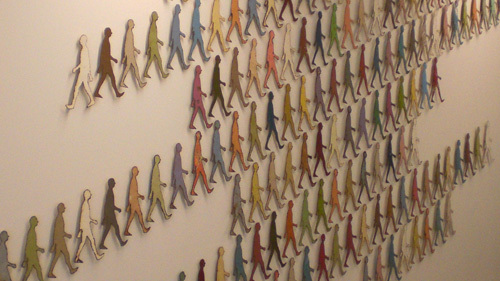 The scale of our installation varies anywhere from hanging a single piece in an individual's office, to installing several hundred within a few days' time. We have a team of experienced installation professionals who can assist clients in determining placement.